EIU Reference Librarians are available all hours the library is open and provide professional help to library users as they navigate the complex resources in the University Library. teach classes in research skills, often referred to as "information literacy"
Our reference collection contains books on all subjects. Reference books, such as encyclopedias, dictionaries, bibliographies, directories, thesauri, almanacs and statistical compendia are those materials that are most frequently consulted as sources of information or as guides to other resources. Some high-use reference books are kept at the Reference Desk. You need your panthercard to use these materials. The library purchases access rights to over 100 online databases which provide you with information in all subjects. To search or browse any resource, click on Magazine & Journal Articles on the library homepage or Journals on the menu bar. 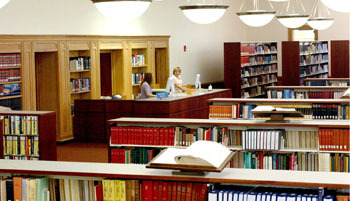 There are 44 computers available in the Reference room for use in accessing the library databases and any resources linked from the library webpages including the EIU Online Catalog. You may print an unlimited amount from these computers free of charge. 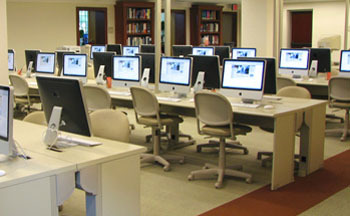 All library resources are available from any computer with an internet connection.